This poster was created as a sort of Promotional PSA sponsored by Neff clothing. It would mainly be seen in surf shop, and warns surfers of Pterygium, unofficially known as “Surfer’s Eye,” which can cause blindness. 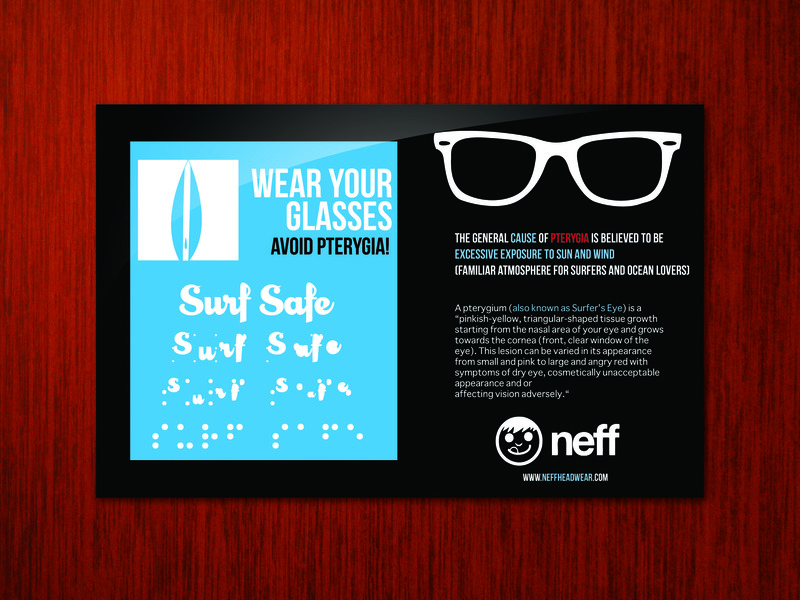 The words “Surf Safe” eventually fade into braille lettering, portraying the eventual effects of this disease. 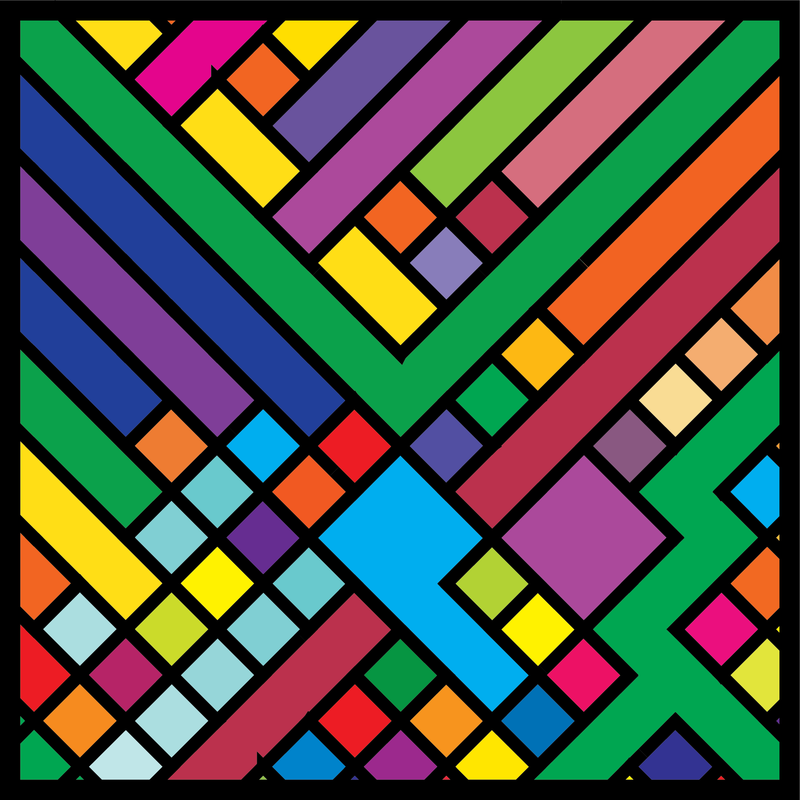 Playing with grids and color in Illustrator. I wanna spend a bit more time with this layout and figure some neat things out. This poster was a typography project in which 10 typefaces were chosen and arranged oldest to newest based on typographic profile and historical usage. 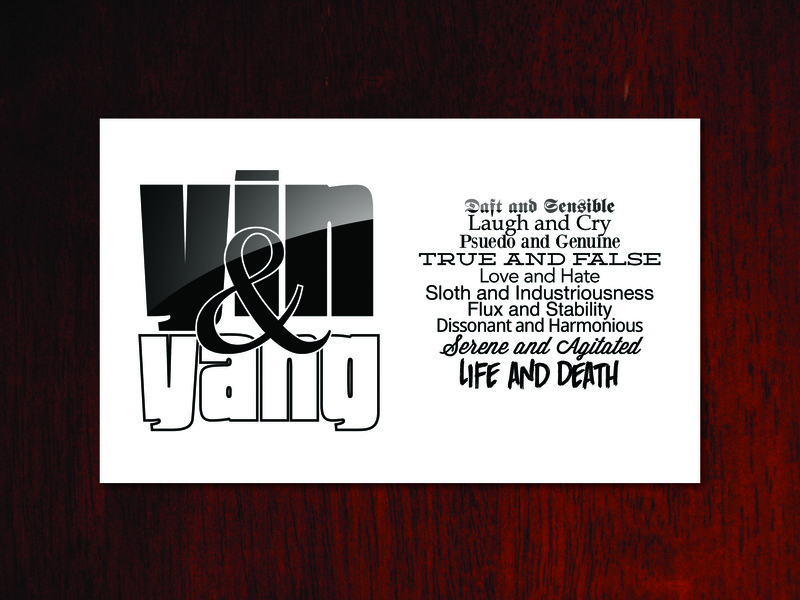 The words chosen for each typeface are meant to be antonyms, and are chosen as such to reflect the Yin & Yang balance theme.